The singer dropped "Wait" off his recently released project, "Leader Of The Street" EP. new single titled, "Wait," alongside another he dropped at the same time, titled, "Cocky." The singer dropped the track off his recently released project, "Leader Of The Street" EP. Both Cocky and "Wait" were produced by Giggs and is fresh out of the booth. 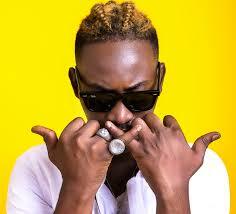 0 Response to "Music: Dammy Krane - "Wait" | Black Swag Blog"